The Belgrade vanity's deep espresso finish, stylish design and ample storage space make it a perfect fit for your bathroom. It is 28-inch W x 21.3-inch D x 36-inch H with installation measurement tolerance: (+/- 1/2-inch) Package comes mostly pre-assembled but some assembly is required. This Arlington 61-inch unique bathroom vanity was designed to make a statement while making a quality, functional and durable bath solution. The white designer vessel sinks and Carrara white marble countertops bring a crisp, contemporary look to your home while contrasting with the rich finish of the vanity. The rectangular shape of the sinks and mirrors complements the strong lines of the cabinets and doors. 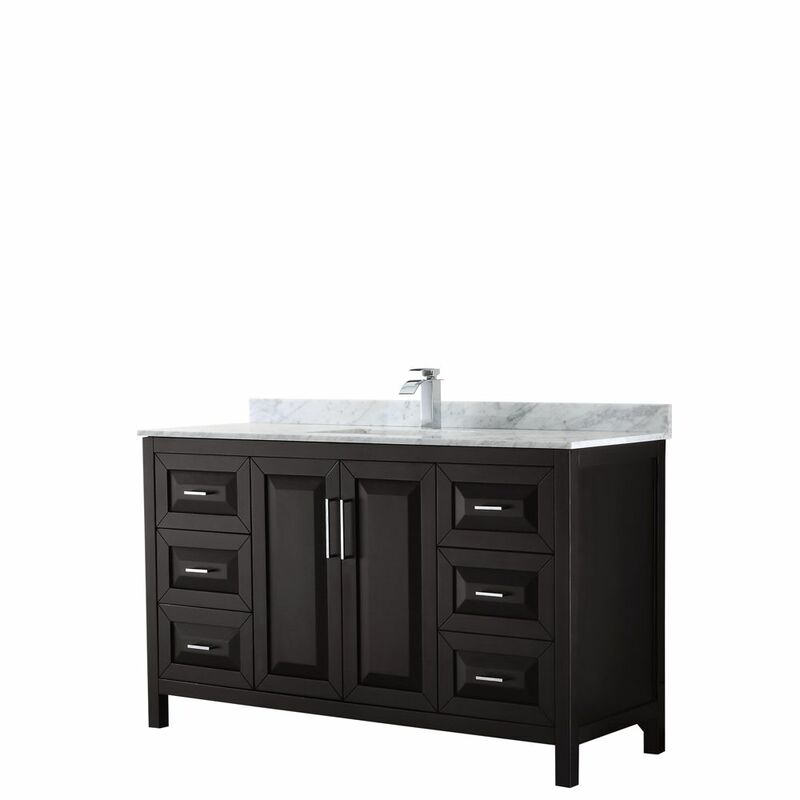 This set includes a matching detachable cabinet with three drawers to connect the double vanity and provide additional storage. Daria 60 inch Single Vanity in Dark Espresso, White Carrara Marble Top, Square Sink, No Mirror The beautiful Daria collection vanities stand out in any bathroom with strong, clean lines, raised panels and elegant counters with square sinks. There's plenty of cabinet space, the fully extending drawers are dovetail construction, and chrome detailing completes the look. Daria vanities deftly combine the function of today with a nod to the elegance of the past. It's the new modern classic styling with a contemporary twist.